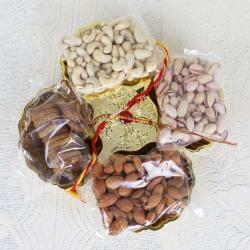 Product Consists: Assorted Dryfruits (Weight: 700 Gms) and Heart Shape Home Made Chocolates (Weight: 100 Gms) along with 5 Rakhis in Gift Box. 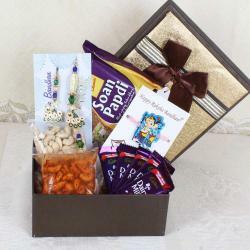 "A special gift for your loved one on the occasion of Raksha Bandhan has pair of 5 beautiful Rakhis along with assorted dry fruits and heart shaped homemade chocolates all packed in a very classy heart shaped box decorated with a matching ribbon looks super cool. Set of 5 Rakhis each different from another looks amazing and describes well about the relationships. 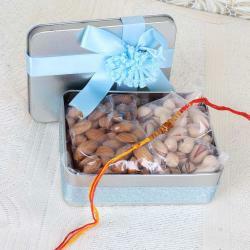 All the Rakhis are tied gently on a Rakhi special card to keep them safe. 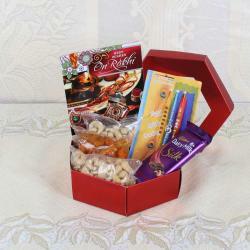 Send this classy combo to make your loved one feel the love and care you have sent with this special gift. 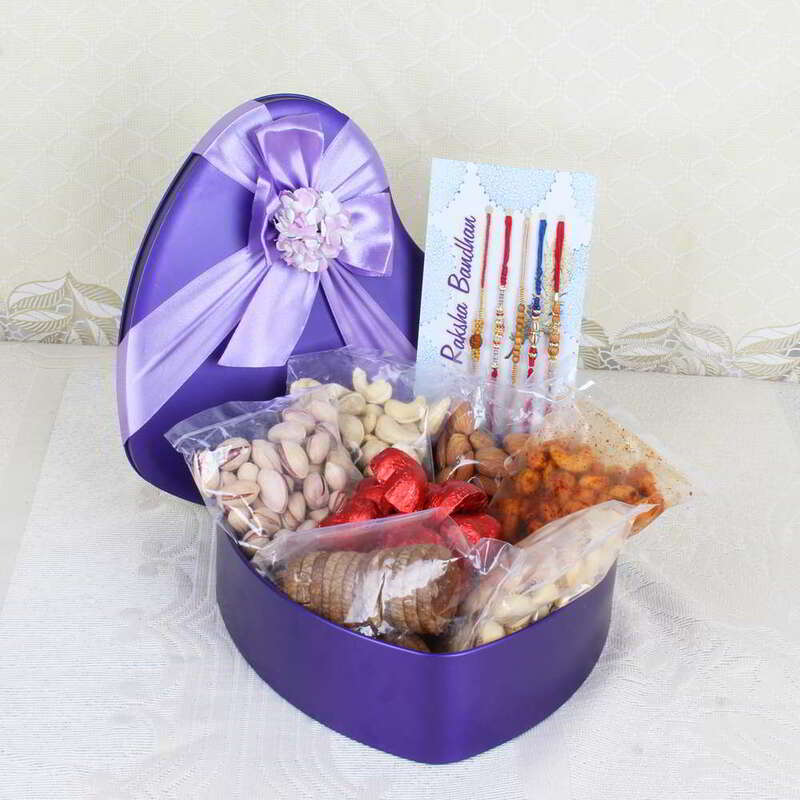 Product Consists: Assorted Dry fruits (Weight: 700 Gms) and Heart Shape Home Made Chocolates (Weight: 100 Gms) along with 5 Rakhis in Gift Box. "